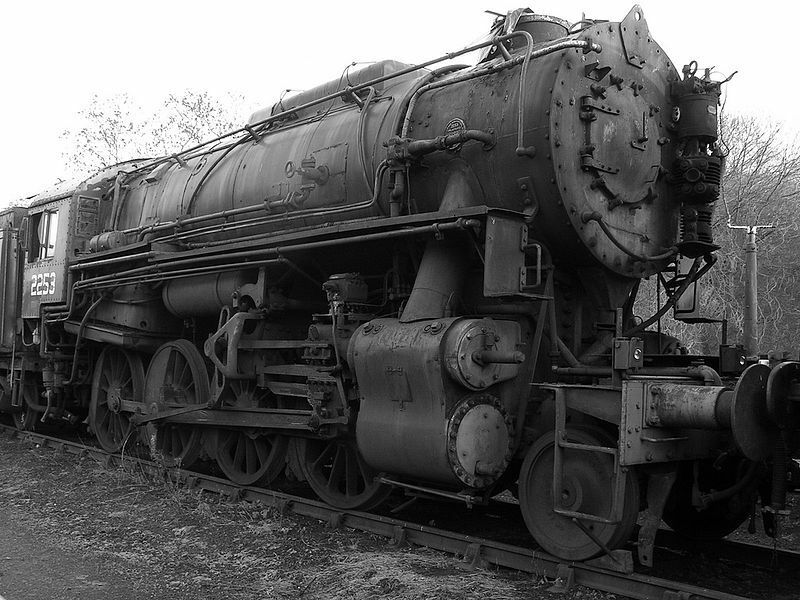 Standardized US WWII export locomotive: 2-8-0. This one build by Baldwin Locomotive Works. If we can have six+ plastic German kits in 1/35th (counting the armored and unarmored diesels) why not one from the US? I've got several DR Dieselloks by Piko I've thought of scaling up. I never thought of a 2-8-0, although I do have one in my stash. Obviously the drivers would be the hardest part. 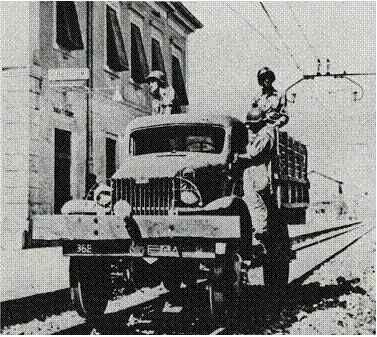 of the Iraqi Railroad. It drove by my house every once in a while. As you can see from the photo, not much separted it from our house. I really like the brown C + C unit. Doesn't really fit into a thread on WWII Allied or Axis equipment but I guess since we are talking the "I wants", Cold War topics are just as welcome. That 40-8 is right outside of where I work. You from the area? If you are talking about the French 40 & 8 every state in the US except AK and HI should have one. Kentucky's is in New Haven, KY. The one you pictured is Mississippi's. I see it everyday when I look out of my office window. Was just wondering if you were local, or got the pic from the internet. What about a few period pics ? 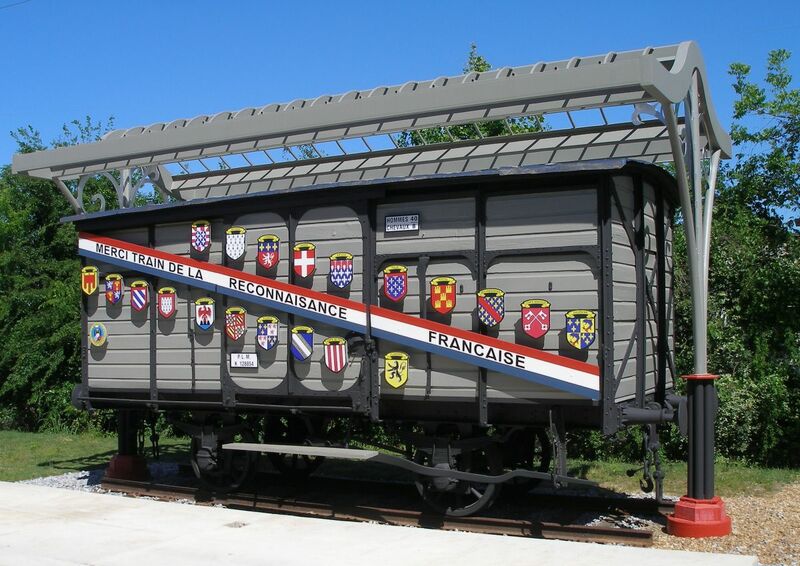 After D-Day the majority of these locomotives were re-collected by the USATC, refurbished were necessary and forwarded on to Europe. OK, it's official, I'm in love with a new and wonderful girl! USATC S160 2-8-0 steam locomotive #6046! OMG! Uncle Thrumpy - P-L-E-A-S-E - let me have her! Below is a link to a BEAUTIFUL YouTube video taken March of this year on the West Somerset Railway in the UK. Beautiful sharp close-ups and several run-bys pulling seven full size passenger cars. (You think I get whiny thinking about a new Deuce variant. - ??? - Just wait till you've been around me for a few months wanting a new steam loco in 1/35th that will work with all my motor pool vehicles! Darn it we have freight to move, there's a WAR ON! Besides, Gen. Patton AND Monty are on my back every day to "GET IT MOV'N!" 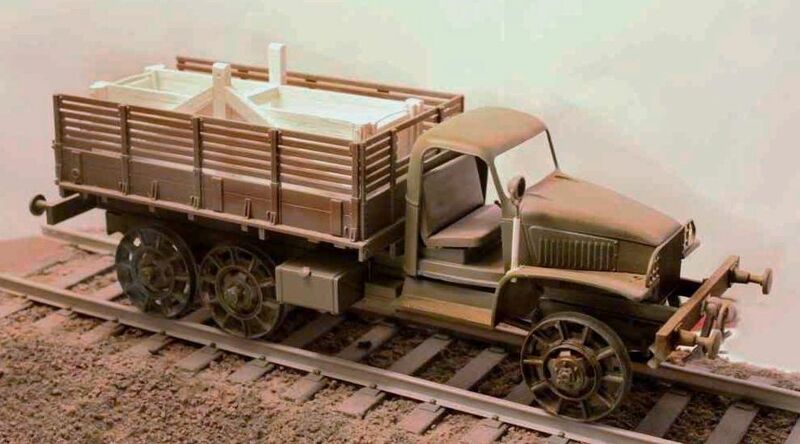 We're coming up to the "big push" soon and we are so hard up for shunters that we're converting GMC trucks into locomotives just to pick-up the slack! 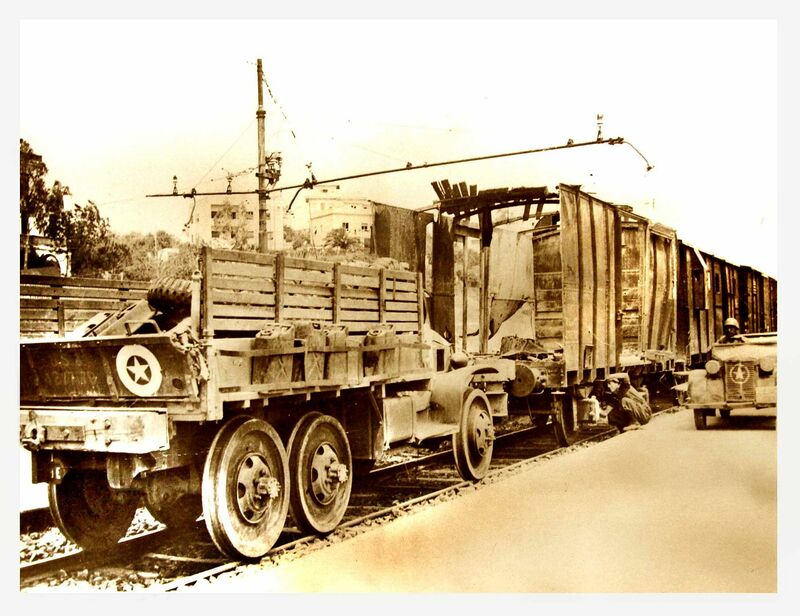 I had the locals here at the Midland and Scottish Rwy shops (Scale-Link) weld up some "tires" for us and at the same time put Mike, my motor pool shop foreman to work on converting a standard GMC deuce into a locomotive. From the photos that Frenchy shared with us, it looks like someone else had the same idea but they took a slightly different approach. Might have to also try out that other design and see which is better! One thing all these vehicles have in common; a large bunker for scrap iron ballast to improve traction. Some like their ladies tall and svelte, but not me, not in this case, especially when they have eight drivers! This baby is tall, powerful, kinda chunky and has a tender behind. In that last photo the locomotive is so shinny it looks like a scale brass model! Good idea, but don't forget the troop trains. In this business the list is always endless! I believe we need to stay focused on those locomotives that would have been used in Europe and western Russia during the war years. If we get into locomotives built for US use then this becomes a RR modeling blog no longer connected to the subject of armor. Challengers really? They had Challengers in Europe in 43-44? p.s. The 2-10-0's that didn't stay in North America went to Russia. The Mikados (2-8-2) are classics but really they were quite often just US locos brought to Europe with only a few modifications. 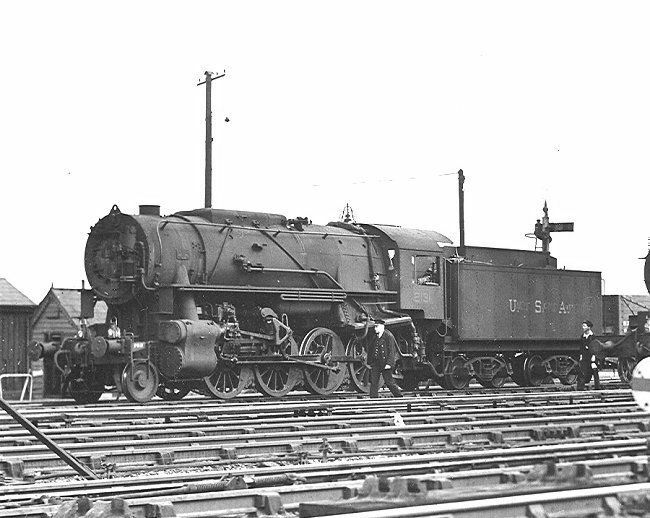 However the USATC 2-8-0 were purpose built, custom designs for the Army. They looked distinctive; tall but on short frames like a cat standing on its' tip-toes. And barrel chested; with boilers so large they were hardly able to fit through European tunnels. Again the boilers were so large they almost swallowed their steam and sand domes as well as their smoke stacks. 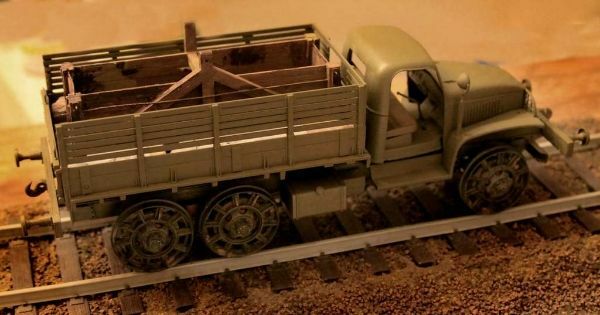 I cannot help but think these would make the perfect medium sized US wartime loco for a hobby manufacture to use as their first venture into 1/35th scale military locomotives. 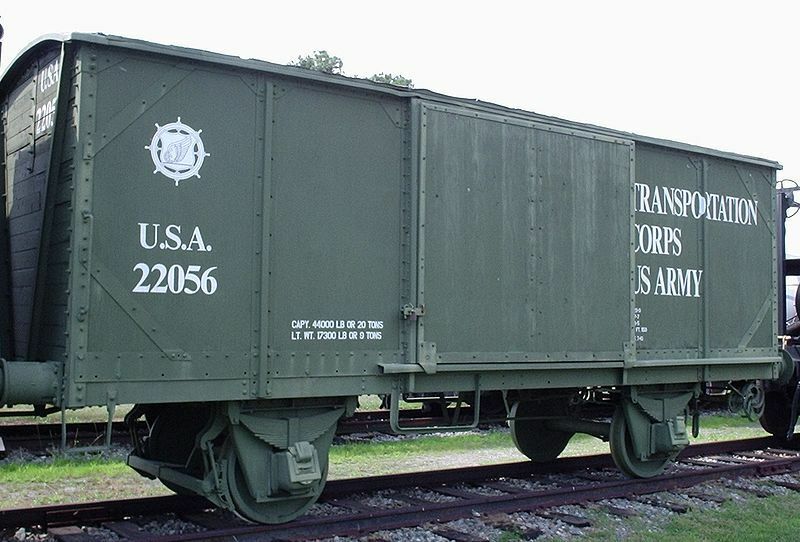 Would anyone have general dimensions on any of these boxcars? It seems I can find plenty of photos on the internet but no actual specifications. 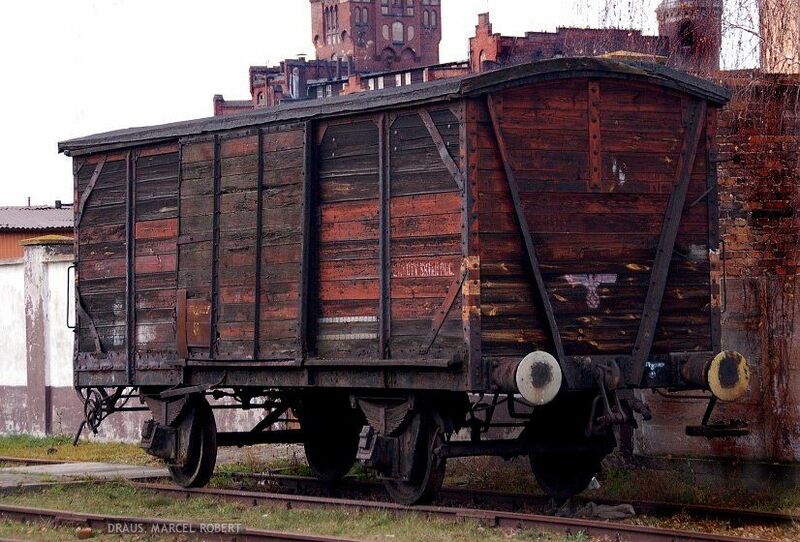 I am contemplating converting one of the Dragon railway flat cars into a box car but need very basic info on length, and height of box cars????? The 2-10-0 Decapod went to Russia and the rest mostly went to the PRR railroad, but trains weren't limited to Europe. why not a American train dio, if not for the railroad here the US would not have been in the war as the railroad moved all goods, troops, armor..... Why not a 0-6-0 pulling a flat of Sherman's, or P47's and why not a 1/35 Liberty ship being loaded. Hi, Teaker11! YES! You're absolutely right about those other steamers- The ONLY reason that I didn't mention them is because the US Army (correct me if I'm wrong) only shipped the relatively small 2-8-0s from the US to Great Britain and then, on to the European Mainland... As a rule, US-built locomotives were too big and way too heavy for European railroads. There were A LOT of Eastern Roads in the US, besides those Western Roads' 4-8-4 Northerns, 4-6-6-4 Challengers and 4-8-8-4 Big Boys (Union Pacific, Northern Pacific, etc.) that also ran Troop Trains and Interservice War Traffic: The New York Central, the Pennsylvania, the Baltimore & Ohio, and the Chesapeake & Ohio, just to name a few. By the way, the Delaware & Hudson also ran 4-6-6-4 Challengers, handling absolutely VITAL coal trains out of Pennsylvania's coal country... The Delaware & Hudson also operated THE LARGEST Roundhouse in the world, which was built in Oneonta, New York... All of the major US railroads were contracted to carry war materiel. Even the majority of smaller roads such as the New York, Ontario & Western, and the Bangor and Aroostook, etc. 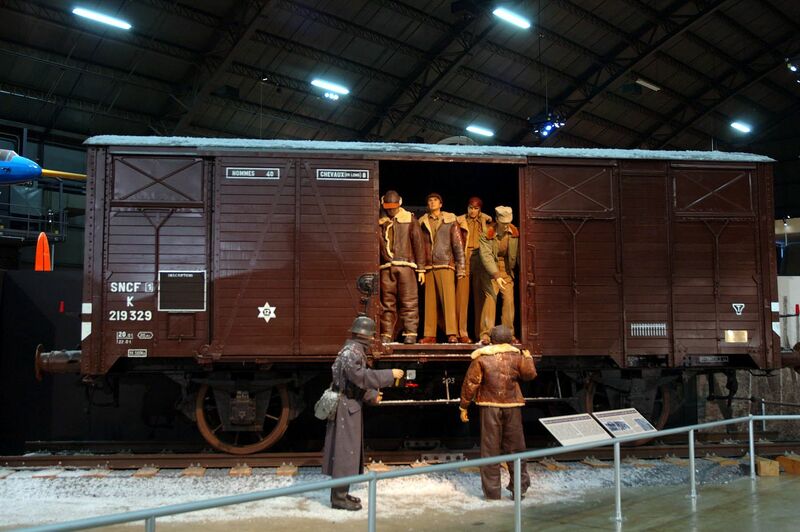 ran vital passenger and freight trains of war traffic. New York Central's newer steam locomotives were named after bodies of water in New York State. Much of the central's right-of-way traveled alongside rivers, lakes, etc. Thus, NYC's management decreed a different a different naming process for their steam locomotives. For example: the J-series 4-6-4 Hudsons, the L-series 4-8-2 Mohawks, and the S-series 4-8-4 Niagaras... The Niagara was called the Northern on most other roads. The Chesapeake & Ohio called their 4-8-4s Greenbriars... The New York Central advertised itself as "The Water Level Route- You Can Sleep".